Jake Carlson is the research data services manager at the University of Michigan Libraries. In this role, he explores the application of the theories, principles, and practices of library science beyond the domain of traditional library work. 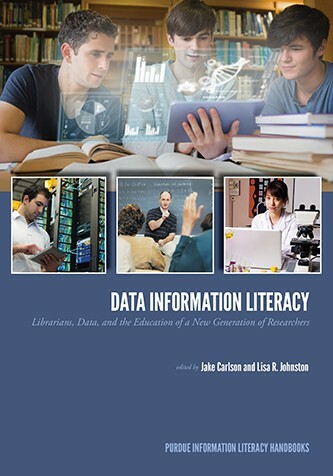 In particular, Carlson seeks to increase the Libraries capabilities and opportunities to provide services supporting data-related research. Much of his work is done through direct collaborations and partnerships with research faculty. Carlson is one of the architects of the Data Curation Profiles Toolkit (http://datacurationprofiles.org) developed by Purdue University and the University of Illinois at Urbana-Champaign, and the PI of the Data Information Literacy project (http://datainfolit.org), a collaboration between Purdue University, Cornell University, the University of Minnesota, and the University of Oregon. Lisa R. Johnston is the research services librarian at the University of Minnesota-Twin Cities. She also is codirector of the University Digital Conservancy, the UMN institutional repository. Her research focus is e-science, scientific data curation, and citation analysis. She has led the libraries in research data management since 2008 by creating an outreach and instruction program for researchers, and she works closely with university leaders toward developing a campus research cyberinfrastructure.